A full list of all the plants we grow which have been awarded an AGM (Award of Garden Merit) from the Royal Horticultural Society. Every plant here has been selected by experts, usually after a period of assessment in garden trials, so each variety here has received the highest commendation for use as garden plant. Look for this logo as you browse our catalogue. About the AGM. 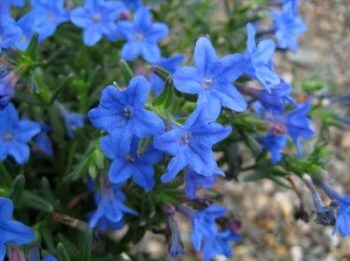 We have around 100 plants on our list which hold an AGM. 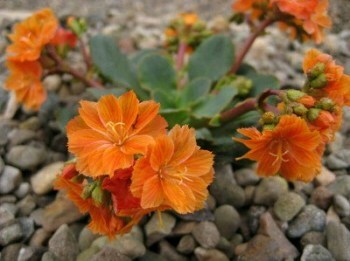 These are considered some of the very best plants available but please don't reject any plant which doesn't hold one. Like most things in life, the award is purely subjective, one person's opinion (well, the opinions of several, actually) and even those experts would freely admit that the awards list is far from complete. It can take a long time to assess a plant and the trials are commonly done plant group by plant group. And the cultivated plant world is huge! Take Sempervivum alone, for example - there are over 4,000 named cultivars! The AGM isn't without critics. Some plants are more than deserving of an AGM and some omissions (or even inclusions, to some!) may seem extraordinary. As far as I'm aware, none of the plants are trialed in Scotland (there isn't an RHS garden or trial ground north of the border). On some occasions we choose to grow close alternatives to AGM plants, plants which do just fine with us. It's all about diversity, especially for a small nursery such as ours - there is no point in us blindly offering the same plant range as any other nursery, AGM awards or not. But we have to start somewhere and we believe the AGM scheme is still a good guide to follow. This is confirmed to us by the fact that many plants on the awards list are also some of our own best sellers. You can't keep a good plant down!